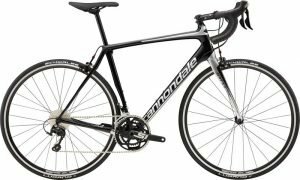 Our professional guides support you throughout, with professional mechanics, Italian speakers and former professional cyclists. 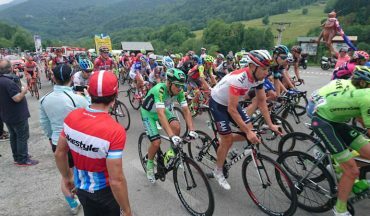 Bikestyle Tours has been running trips to the Giro d’Italia for over 15 years, back then it was following the charismatic Marco Pantani and Mario Cippolini. 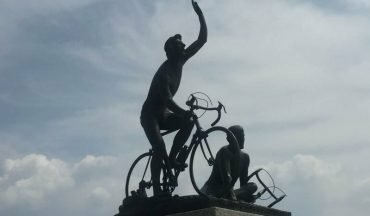 In 2019 our Giro Classico tour focuses on the iconic locations and visits some of the lesser known climbs of this year’s Giro d’Italia route. 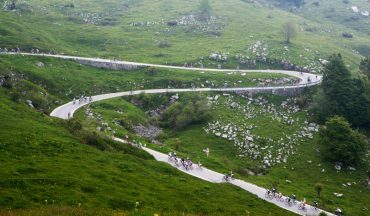 You’ll experience the very best riding in Italy and see the Giro d’Italia 2019. Great pizza, pasta, gelato, coffee and the best hot chocolate. It is a popular trip for the cuisine, scenery and all things that are very, very Italian. We have our normal riding and non-riding itineraries. 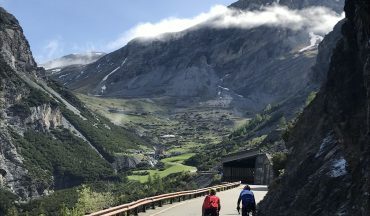 But we’ll also offer our experienced cyclists more time on the bike to conquer more vertical metres on some of the most magical roads in Europe. Our trip starts in the Piedmont region, famous for its wine, cuisine and as its name indicates, the foot of the mountains. Our first test comes on the race route between Cuneo and Pinerolo. We then follow the peloton through the mountains and experience watching the race over summits. In the Aosta Valley, we’re spoiled for climbing. For a scenic diversion, you’ll have the opportunity to take the skyway up to a vista across to Mont Blanc and across the Alps. Later in the trip, you have the option to take the scenic Bernina Express railway to St Moritz. 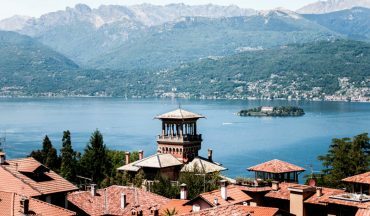 Also, a regular highlight on our Giro d’Italia Trip is our ride around Lake Como in Lombardia with the climb up to Madonna del Ghisallo, as the pros will do. 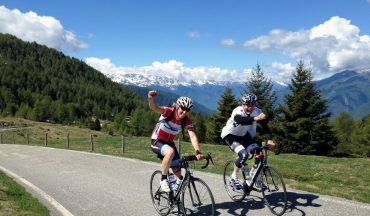 It continues with a spectacular 3 days that follow, the Passo Dello Stelvio, Passo Gavia and the mighty Mortirolo. 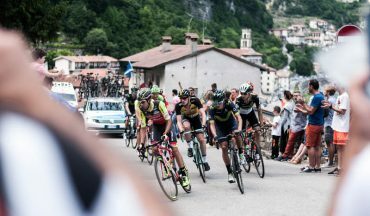 Our final part of our trip takes us to the Dolomites, with close access to the final mountain stages, where we expect to see the decisive move of the 102nd Giro d’Italia. 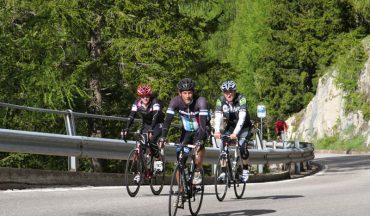 Before transferring to Verona for the final time trial, we’ll conquer Monte Grappa, which is a rite of passage for any cyclist in Italy. 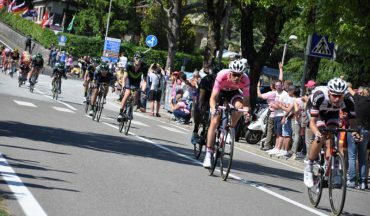 If you haven’t seen the Giro d’Italia, make 2019 your year and come with Bikestyle Tours. We will see the most important stages, and when the tour caravan travels long distances we’ll base ourselves in the iconic regions of Northern Italy. Thus, minimising long transfers and maximising our time for riding and relaxing. Buongiorno, after your arrival we will transfers to Piedmont for our warm up ride. Today we watch the Giro stage 13 on the penultimate climb, Pian del Lupo. 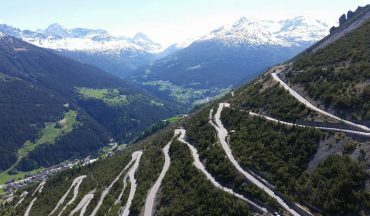 Today we will ride the famous Passo dello Stelvio before descending down to Bormio to watch stage 16 pass through town. 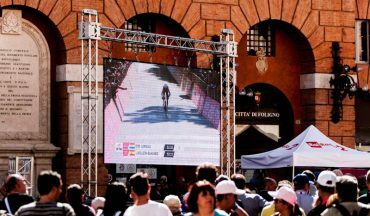 We will visit Verona to watch the Giro be decided with the the final stage, and individual time-trial finishing in the famous Arena.